William Reynolds has worked in the Western Industry for over 30 years. After receiving his MFA in Graphic Design from California Institute of the Arts in 1977, Reynolds worked as an Art Director at A&M Records with such diverse artists as Randy Newman, Kiss, Herb Alpert, Tanya Tucker, Pink Floyd, The Police and Dire Straits. In 1983 Reynolds joined LA Based ad agency Banning BCI as Creative Director and embarked on new client hunts within the Western and Equestrian industry as well as helping establish and build the Malibu Equestrian Center in conjunction with the County of Los Angeles. By 1987 Reynolds purchased control of Banning/BCI and went on to triple its billings with customers such as Resistol and Stetson Hats, Bailey Hats, Montana Silversmiths, Edward H. Bohlin Company, Warner Western Records, Professional's Choice and The Autry National Center among others. Over the next ten years, Reynolds worked to enlarge the western industry's reach by creating a special division within his agency for product placement in motion pictures and television. This included his acting as technical advisor for such films as Ruby Jean and Joe produced by Tom Selleck for Showtime Television, The Horse Whisperer produced by Robert Redford for Disney's Touchstone Pictures and Billy Bob Thornton’s All The Pretty Horses. In 1993, Reynolds (along with his father John Reynolds, former CBS Television Network President) acquired the Edward H. Bohlin Company, famous saddler and silversmith to the stars including Roy Rogers, Gene Autry, Hopalong Cassidy, and The Lone Ranger. In 1999 they sold their interests in the company and Reynolds joined Cowboys & Indians Magazine in June of 2000 as Director of Special Publications, the company's book publishing division and was named Associate Publisher in August of that year - a position he held through September of 2007 when he left to write for a variety journals and magazines such as Western Horseman, American Cowboy, Horse & Rider, Southwest Art as well as Cowboys & Indians. Reynolds and his friend Buck Brannaman wrote the best-selling The Faraway Horses released in Fall 2001 (soon to be a film). Reynolds is also the author of The Cowboy Hat Book along with The Art Of The Western Saddle, released in December 2004 and named “Equine Book of the Year” by American Horse Publications. Reynolds penned his second book, with Buck Brannaman, Believe, A Horseman's Journey in 2005. In 2006 he released a book of short stories by western artist Edward Borein and a gallery book on artist Chuck DeHaan. 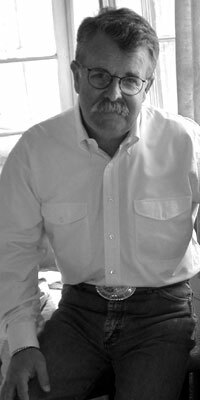 He is currently President of Alamar Media, Inc., co-produces the internet radio service, Range Radio (www.rangeradio.com) and publishes the bimonthly journal Ranch & Reata. He also edits the quarterly constitutional-focused journal (and three-time, Best of Category award recipient from American Horse Publications) The Cowboy Way for the Paragon Foundation in New Mexico. He is working on a biography of cowboy artist Joe DeYong and a follow-up volume to his “Saddle Book” on western silversmiths along and a feature -length documentary film about vaquero artist, Edward Borein. Reynolds lives with his family in California’s Santa Ynez Valley. Reynolds is an active member of the Western Writers of America, Los Rancheros Visitadores, as well as past member of the Board of Directors of the National Cowboy & Western Heritage Museum, the Santa Ynez Historical Museum, and the Art Foundation of Santa Barbara.